This video was published in 2007 and many things have changed. 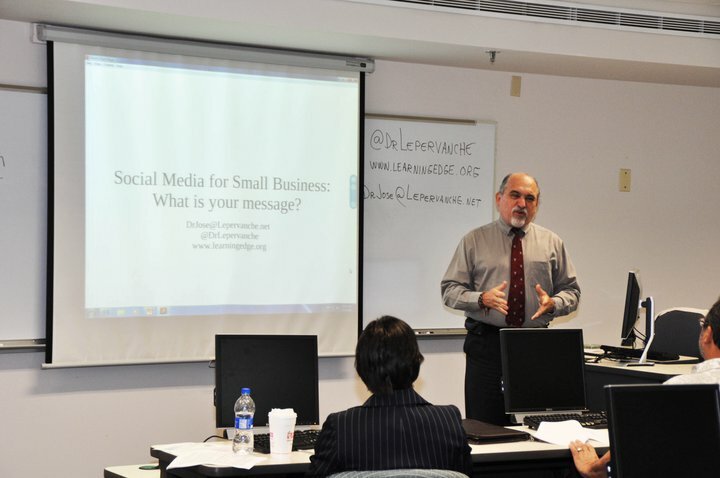 However, it is a great to explore digital text, web development, and web 2.0. How is the machine using us today? “Web 2.0” in just under 5 minutes. See the evolution of text from the basic HTML to Web 2.0. Originally posted on 2008/12/05. 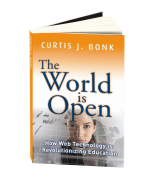 The World Is Open: How Web Technology Is Revolutionizing Education – Curtis J. Bonk explores ten key trends that together make up the WE-ALL-LEARN framework for understanding the potential of technology in learning in the 21st century. (http://www.worldisopen.com). Dr. Sheri Litt gave us the book as a end-of-term present with the homework to read it during the summer. I will present a review to faculty during the fall. During last Teaching and Learning Conference Dr. Julie Giuliani mad a presentation about wide open web 2.0 tools for online education and made reference to this book. Her husband Joe Giuliani is a chef who teaches cooking online (http://www.cookingedu.com). 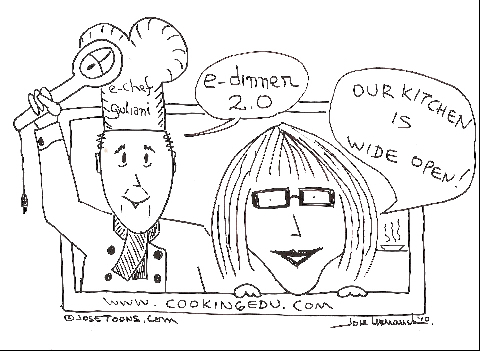 The cartoon reflects their interests in web 2.0 education.